Applegarth Engineering is a fully accredited installer of solar panels, under the Microgeneration Certification Scheme. We install both roof mounted and ground mounted solar panels in Chester, for domestic and commercial clients. Solar panels convert the suns energy into electricity. This electricity can then be used by homeowners and businesses to reduce the amount of energy they use from the national grid, therefore reducing their energy bills. Solar panels are constructed from lots of solar cells. These solar cells are made from layers of semi-conducting material, usually silicon. The solar panel creates electricity when photons from the sunlight react with electrons in the semi-conducting material. The stronger the sunlight the more electricity is produced. 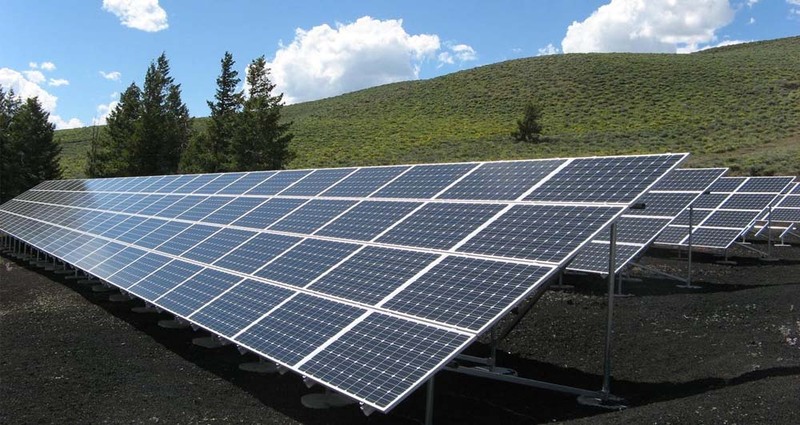 Reduce carbon emissions – Solar panels generate clean renewable energy and give off no carbon dioxide. Earn money – Under the feed-in-tariff scheme you can earn money by selling any extra electricity your solar panels generate back to the national grid. Save money – Solar panels generate electricity, even on cloudy days, reducing the amount of energy you need from the grid. Low maintenance – Solar panels require little maintenance. Once they are installed you can just leave them to generate electricity. Work all year – Once of the main benefits of solar panels is they work all year round. This is as they use sunlight and not heat, meaning they even work on cloudy days. The feed-in-tariff scheme has been introduced by the government to help increase the use of renewable energy used in the UK. The scheme is open to households and community groups in England, Scotland & Wales. Earn money for the electricity you produce, even if you use it yourself. Receive bonus payments for any extra electricity you export back to the national grid. Reduced energy bills as you are using less energy from the national grid. If you are interested in our solar panel installation service, or have any questions, call us on 0151 649 8350. You can also email us at info@applegarth.co.uk. We install solar panels for home owners and businesses in Chester and across the surrounding areas.